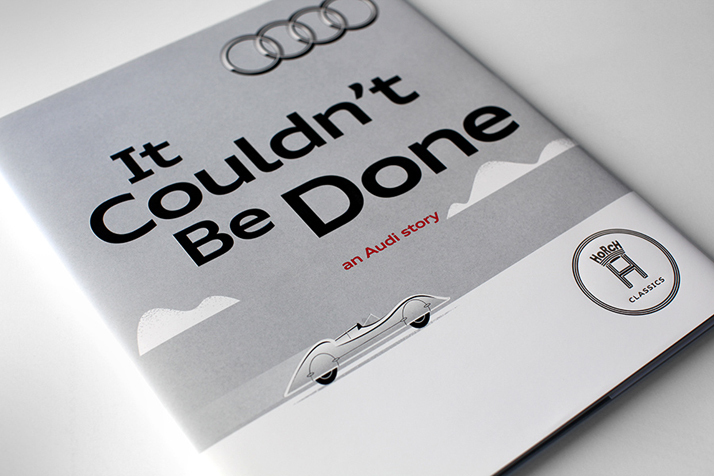 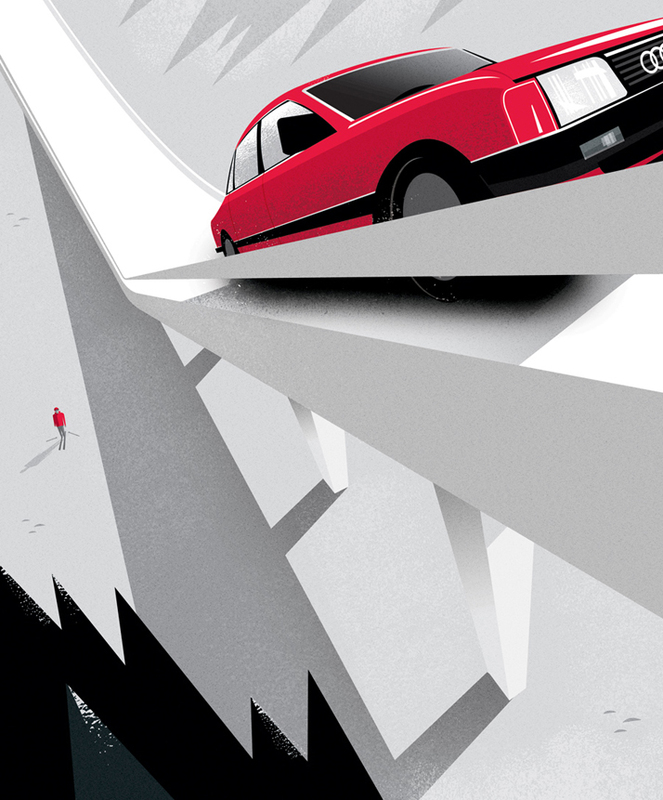 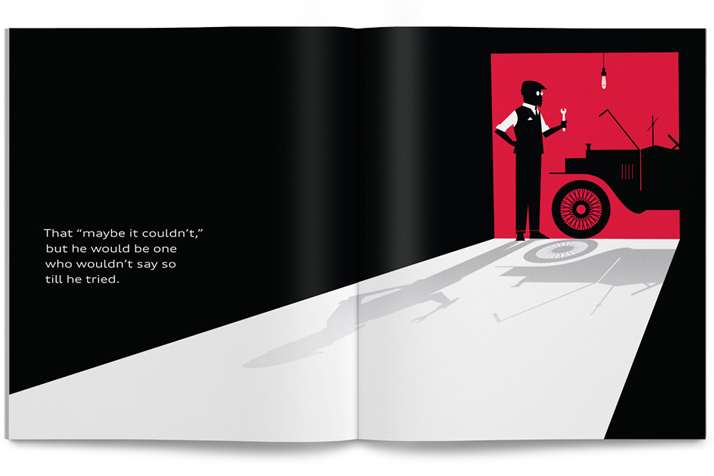 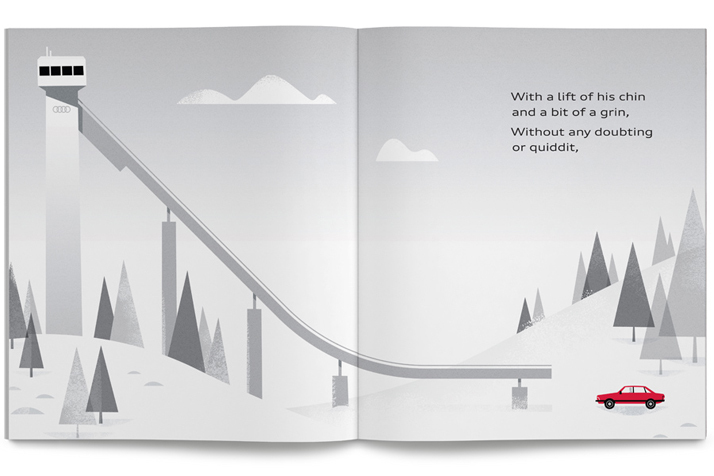 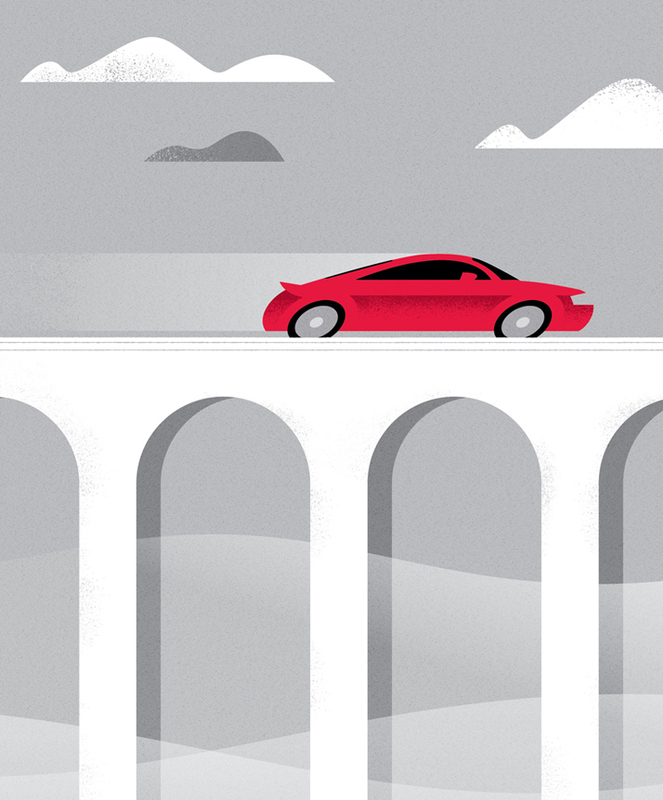 It Couldn't Be Done: An Audi Story by Mattson Creative. 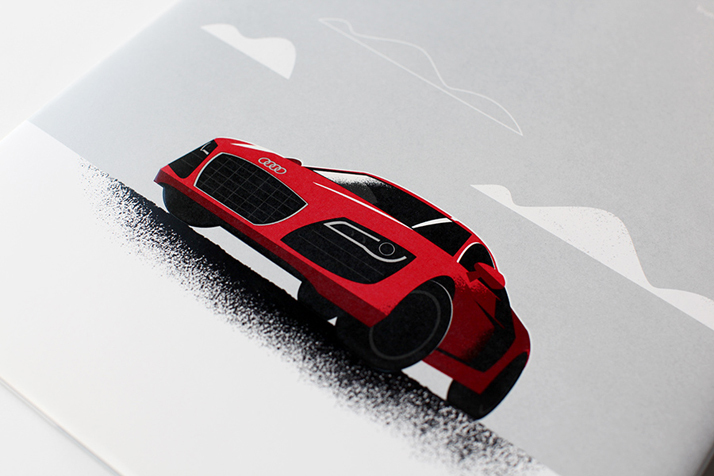 Characterized by state-of-the-art technology, revolutionary engineering and progressive design, Audi is one of the most respected brand names in the world. 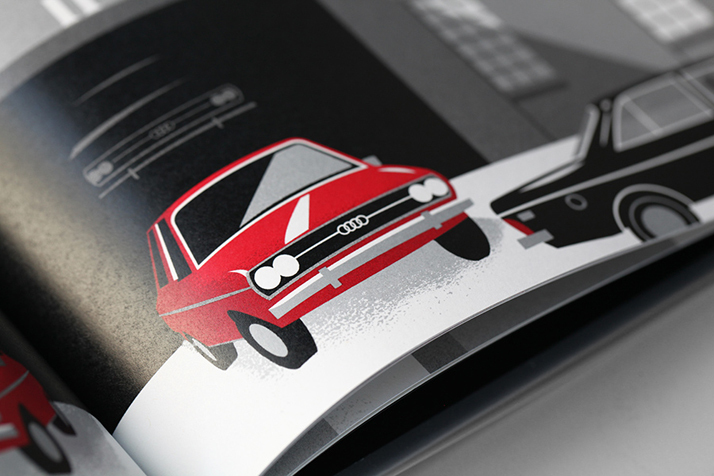 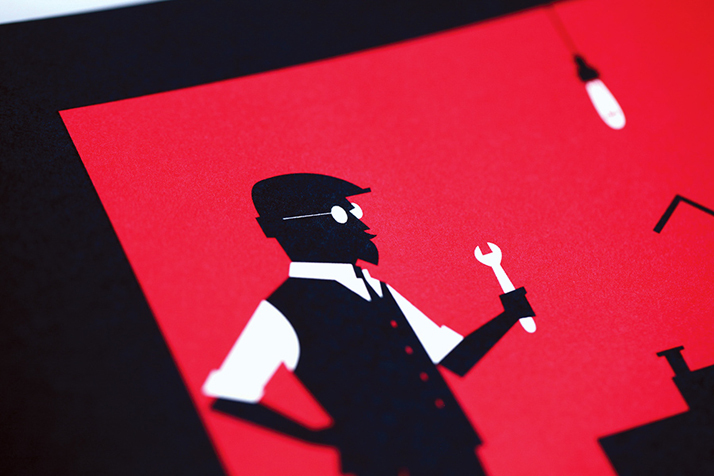 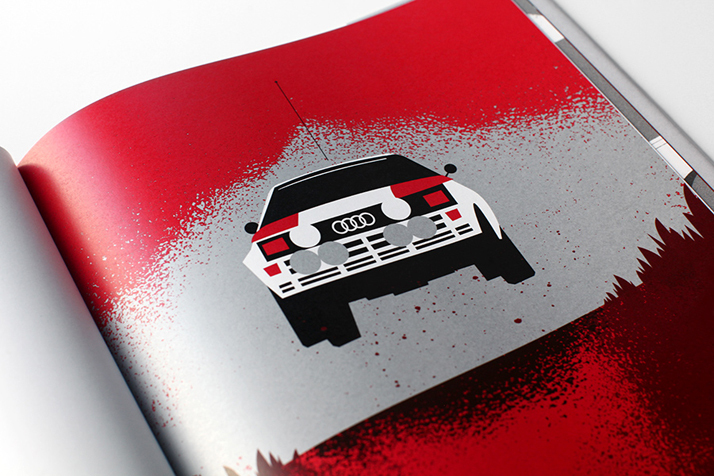 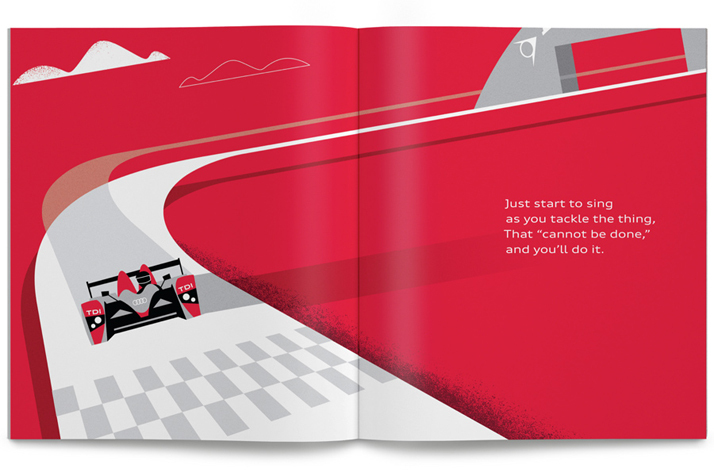 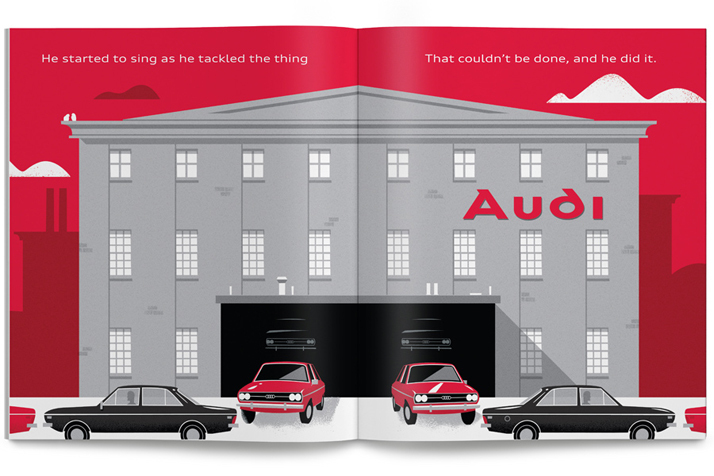 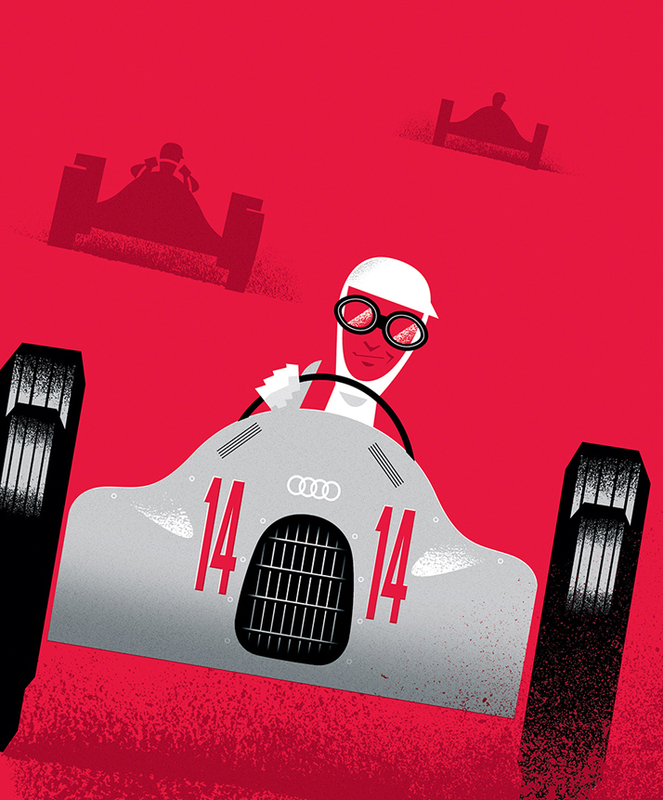 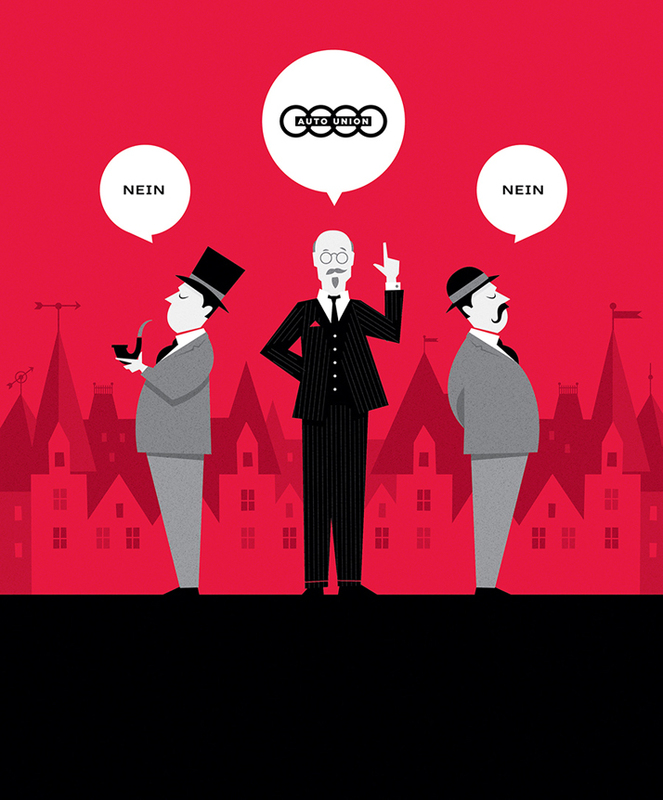 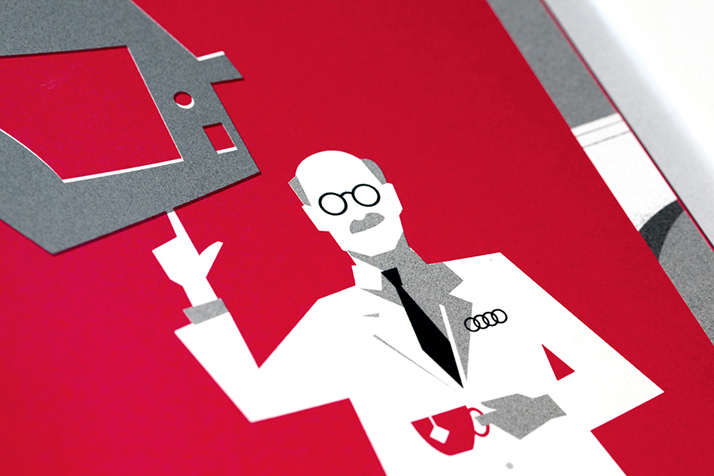 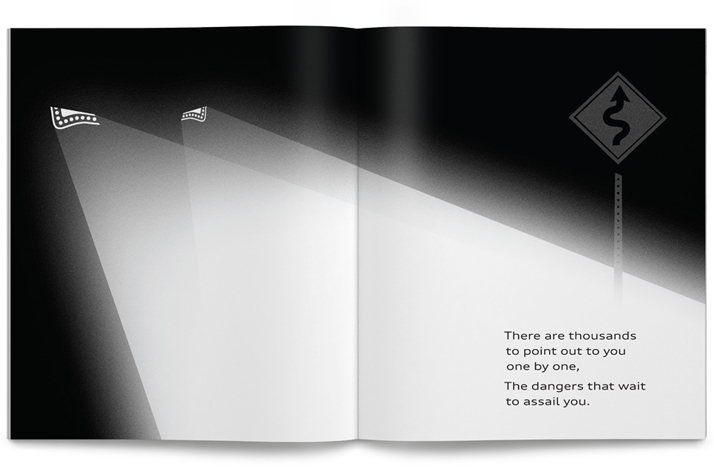 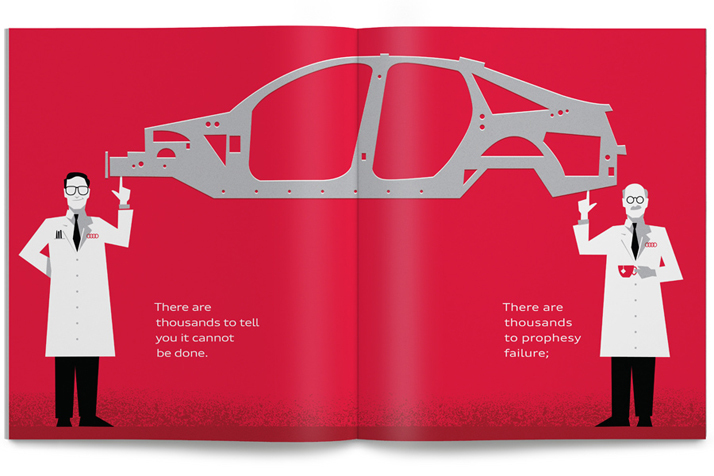 Working closely with Audi’s advertising agency, VBP, Mattson Creative illustrated a 28-page book celebrating the legendary carmaker’s rich history of innovation.